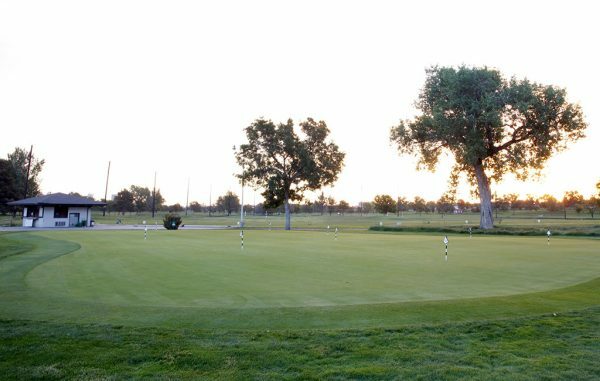 Denver’s oldest public golf course will try on a new identity for a few weeks this September: music venue. Overland Park Golf Course will close for five weeks and is being rented to the concert promoter who dreamt up Bonnaroo for the Grandoozy Festival. In exchange for fencing off the greens and turning the driving range and a few holes into a three-stage music festival, Denver stands to reap up to $700,000 in fees from promoter Superfly for the show, which is scheduled for September 14, 15 and 16. Scott Rethlake, director of golf for the City of Denver, said the city picked September for the festival because there’s a dip in golf rounds. He said it will be taking precautions to protect the course. Grandoozy and the city plan on having the main stage on the driving range and two smaller stages on the course. Of the $700,000 the city can bring in, Grandoozy will pay a $90,000 fee to the Golf Enterprise Fund to help restore damage to the turf, including new sod. Rethlake said the city is ordering sod to make sure it will have enough to replace damaged sections, and Grandoozy’s bill could go higher if more repairs are needed. But replacing turf is not the biggest challenge, Rethlake said. Using heavy machinery to haul in stages and other equipment could dent the turf, which is harder to fix. But Rethlake said they will use mats to help protect the area, and maps to make sure the equipment is more evenly spread out. For every ticket sold, $2 will go to the Golf Enterprise Fund. The maximum attendance for the festival has been capped at 80,000 per day. If Grandoozy sells out the event, the Golf Enterprise Fund could earn $480,000. The funds will go toward capital improvement projects, but the city has not decided on what those will be, Rethlake said. Three-day festival passes go on sale Friday for $225 to $600. David Ehrlich, the executive producer of the festival and executive director of the Denver Theatre District, said he and Superfly co-founder Rick Farman spent years looking in Colorado for the ideal location. He said Superfly wanted to bring a festival to Denver because of the city’s recent growth and thriving music scene. “It really is the best city in the music business that doesn’t have its own festival,” he said. Overland fit the criteria for a flat and scenic location. And the neighborhood wasn’t too dense with homes. Ehrlich said his crews will try to place stages away from housing to avoid noise complaints. Superfly also is working with the city to make sure stages won’t impact the most popular golfing areas on the course. The course will be closed for five weeks, allowing the festival time to set up and disassemble equipment. The contract gives the festival three weeks to unload, and Rethlake said the city estimates they will reopen the course Oct. 8, depending on accumulated damage and weather.